While all Christian churches hold fast to a core set of essential doctrines, they differ widely in the particulars. Here is a summary of the defining beliefs we hold at CCE. 1. 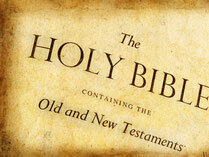 In the Holy Bible, the Old and New Testaments, as the Word of God, fully inspired by God and without error. 2. In the existence of one God, who is eternal and who has revealed Himself as a trinity of Father, Son and Holy Spirit. 3. In the creation and fall of mankind, as recorded in Genesis; in his total depravity and inability to reconcile himself to God. 4. In Jesus Christ as the only saviour of mankind, conceived by the Holy Spirit and born of the virgin Mary, that He is fully God and fully man. 5. In the Gospel of the Grace of God, which declares that Jesus, the Son of God, was sent to earth to reconcile all people to the Father through His perfect life, His death in our place, and His rising again, as the basis for extending forgiveness of sins and spiritual and eternal life (salvation) to all who place their trust in Him. 6. In water baptism by immersion for believers in the Lord Jesus Christ as evidence of, and not requirement for, salvation. 7. In the presence of the Holy Spirit in this world by convicting of sin, righteousness and coming judgment. 8. In the ministry of the Holy Spirit in the life of the believer as evidenced by the fruit of love. 9. In the gifts of the Holy Spirit, and the Biblical use of all spiritual gifts as taught in the New Testament for God's glory. 10. In the Lord's Supper, also known as Communion, as a memorial of the work of Jesus in securing our salvation by His death on the cross at Calvary. 11. In the spiritual unity of believers in our Lord Jesus Christ as one corporate body known as the church. 12. In the eternal life of the believer and the eternal punishment of the unbeliever. 13. In the ascension of Jesus into heaven following His resurrection and the eventual return of Jesus Christ to the earth as its rightful and permanent Sovereign. 14. In the reality of heaven and hell. 15. In the reality of Satan, demons and holy angels, and their accountability to the authority of God. 16. In the validation of God's ordinance of marriage by Jesus Christ as being between one man and one woman. 17. In the simple governing of the church of God, by the power of and dependence upon the Holy Spirit.